Utilizing an engine and chassis derived directly from the R8 LMS racecar, the all-new Audi R8 boldly goes where no car has gone before. Boasting a powerful 540-hp V10 or 610-hp V10 plus, the R8 is ready to drive innovation forward. Buckle up. 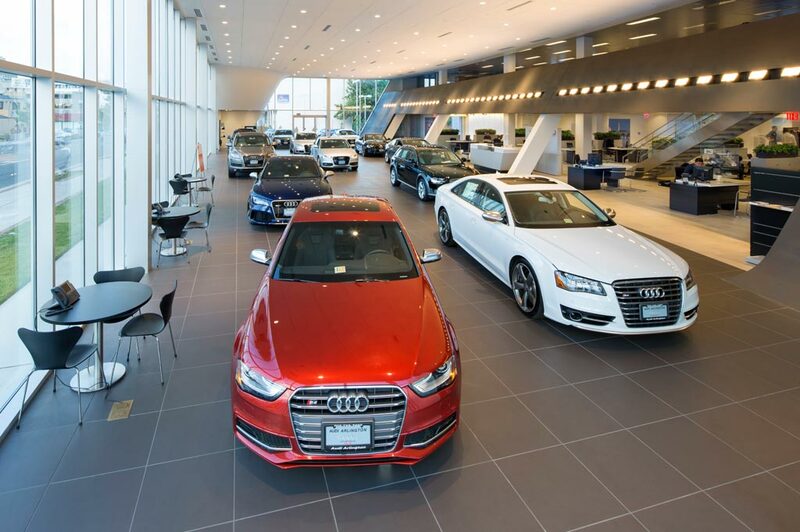 What can you expect when you enter the Audi Wyoming Valley showroom? Well, aside from a warm welcome, a great selection of new and used cars to choose from, as well as onsite auto service, a vast collection of parts and a financing team that understands the needs of drivers like you. If that sounds good to you, come see us today in Wilkes-Barre, Pennsylvania. There are plenty of vehicles here in our new 2018-2019 Audi Q5, Audi Q3, Audi Q7, Audi A8 or Audi A6 lineup that grab your attention. When you're drawn in, you can see all the details, features, technology and innovation onboard, and get a full hands-on experience in the form of a test drive. Here at Audi Wyoming Valley, we will give you all the details, to make sure you know every bit about the vehicles you're interested in. We let you take your time to discover each one, and when you find that right fit, you'll know, and we can get the wheels in motion to have you taking it home in no time. If you're seeking a more cost-effective option, then we have the perfect alternative for value-seeking drivers throughout Wilkes-Barre, Larksville, PA, Nanticoke, PA and Kingston, PA. In addition to our new vehicles, we maintain comprehensive selection of top-quality Certified Pre-Owned Audi models and used cars for you to choose from! That gives you the chance to save money on your next car without compromising safety, quality or performance. We want our customers to know that our service doesn't stop at the sale. Even after you've driven your dream car home, the team at Audi Wyoming Valley isn't finished enhancing your driving experience. Our dealership is home to a state-of-the-art service center that can assist you with everything from routine automotive service to comprehensive repairs. Audi Wyoming Valley is committed to making sure you have a fantastic Audi experience. No matter what model you're interested in, new or used, we invite you to visit our dealership today. We'd relish the opportunity to get to know you and help you find a vehicle you'll truly love, so be sure to visit us at 1470 Highway 315, Suite #3 Wilkes-Barre, Pennsylvania, today.